2016 World Shore Angling Championships. Wexford, Friday 16 September. 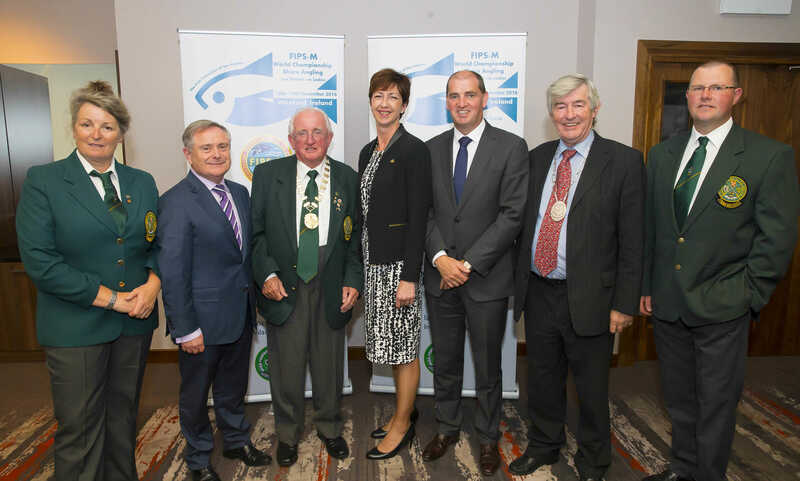 The Irish Federation of Sea Anglers launch the Senior World Shore Angling Championships for Men’s and Ladies at the Clayton Whites Hotel last Friday. The Championship held from 12 – 19 November this year is a major International Event and will attract 250 competitors from over 30 countries for a week long competition across many of the South East’s finest beaches. The event will have a significant economic impact on not only the town of Wexford but the country as a whole and is a wonderful showcase for Wexford, IFSA and the sport of angling as a whole. The 2016 event will be historic for many reasons, but most notably as for the first time ever, Ireland will have a Ladies team competing in this World Championships. 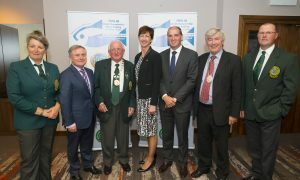 In attendance at the launch were Minister Paul Kehoe TD, Deputy Mayor Tony Dempsey, IFSA President Pat Walsh, Frances Kinsella from Event Ireland and representatives from Wexford County Council and both the Irish Men’s and Ladies Teams. Pat Walsh welcomed all to the launch, noting ‘it is a very exciting time for Our Ladies, their first time representing Ireland in the World Shore Championships in the history of our Federation’. Deputy Mayor Tony Dempsey commented that team sports are hugely important and with the angling tradition in Wexford he is delighted to welcome 250 competitors from so many different countries to the region. Frances Kinsella thanked IFSA for bringing this event to Ireland and said ‘We have taken to calling ourselves the event island and I think with good reason – Ireland is a living stage. We make an event an experience and we look forward to proving this in November when our extended World Shore Angling family arrive to Wexford and Irelands Ancient East’.